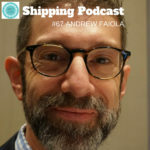 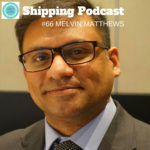 Melvin Mathews is the Maritime Director at Eniram, he has a background as Master Mariner, he has worked as a ship manager and now he is in the tech world. 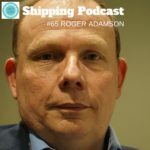 Roger Adamson is the CEO of Futurenautics Maritime and has a background as a Naval Architect. 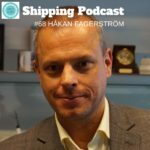 I first met Roger when I invited him to come and speak at the Institute of Shipping Analysis a few years back. 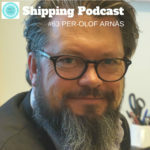 He then took the stage and talked about wearables and other gadgets that can be used also onboard a vessel, for various purposes. 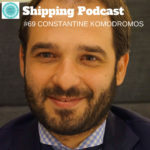 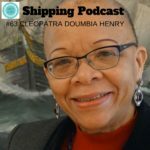 In episode 64, you meet Dr. Cleopatra Doumbia-Henry (LL.B, LL.M (2), Ph.D International Law) who is the President of the World Maritime University based in Malmo, Sweden. 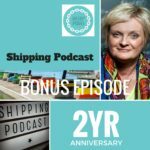 She talks about her lengthy career within the United Nations system and especially the time she dedicated to the new Maritime Labour Convention, MLC, where 68 instruments now finally are merged into one single Convention. 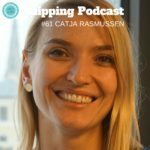 Catja Hjorth Rasmussen explains why it took 5 years to complete the remote control container management project, which is now in full operation at Maersk Line. 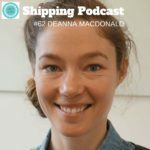 The system has GPS tracking and has eliminated more that 100,000 manual pre-trip inspections.